I love tomatoes anyway I can get them and this time of the year when they are out of season I buy the Hothouse ones, and stuff them. Delicious. Let them rest for about 5 minutes before serving. I serve mine with some tomato sauce on the side. So good, so easy. I hope you love them! 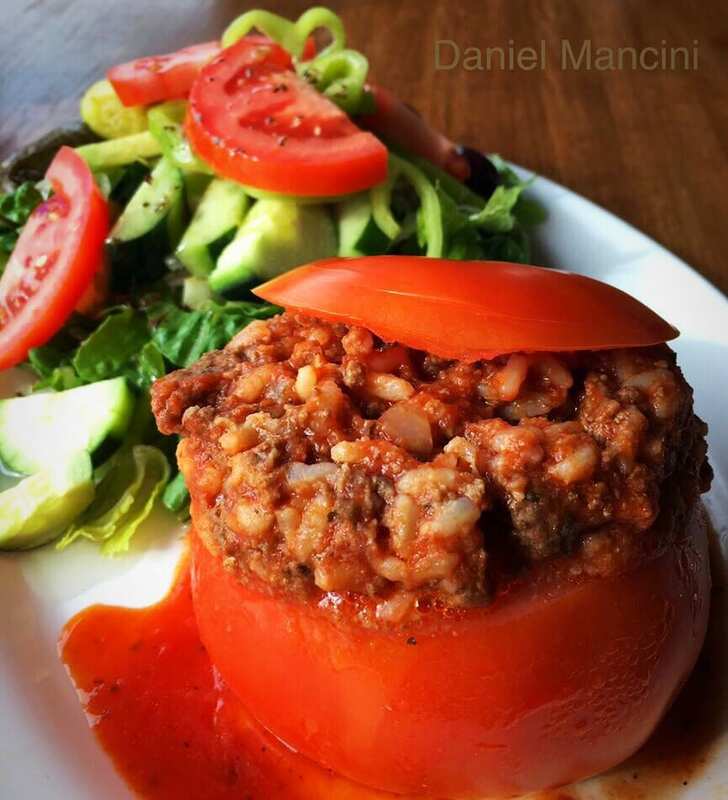 Stuffed tomatoes in minutes not hours. Start with our Mama Mancini’s Meatballs in sauce and simply crush the meatball in the sauce. Add 1-cup of cooked rice for each 16oz pack of meatballs and fold the rice into the meatballs and sauce. Slice the top off the tomatoes and using a spoon scoop out the inside and add that goodness to the stuffing mix. Place on a baking sheet and bake in a 350 degree oven for 20-30 minutes.